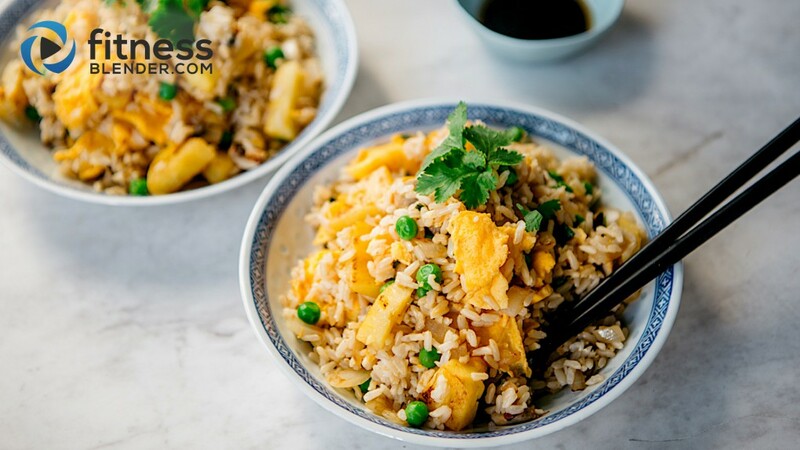 One of our favorite ways to get heaps of vegetables into a meal without putting too much thought into it is through fried rice dishes – well, pseudo-fried rice, in which the rice is cooked and stirred in with all of the other ingredients just before serving, rather than frying it in oil. We also like to use brown, black or wild rice to ensure we reap the benefits that whole grains bring to the table. If you use good produce, fresh herbs and a bit of chili sauce, you’ll find this recipe packs as much flavor as the traditional dish, but without the unnecessary calories and added fat. The other great thing about this recipe is the speed in which it’s ready. 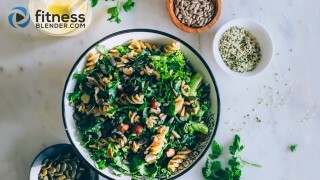 This is an exciting, comforting and healthy meal that you can realistically prepare from start to finish after a day’s work. Moreover, the recipe can be adapted to what you have on hand or what’s in season at your local market. Mushrooms don’t look good? Try some small cubes of eggplant or little cauliflower florets. As with most recipes, the use of real, quality ingredients will result in something delicious. To balance out the savory elements of soy sauce, sesame oil and umami-packed vegetables, this recipe incorporates sweet chunks of pineapple, which are slightly acidic, but become caramelized and sugary once they hit some heat. The key to a good fried rice is cooking the dish quickly – a burst of high heat gives the veggies a deep smoky flavor. Any more than that and they’ll become limp, soggy and pale in color. For this reason, it’s very important that you let all of your ingredients dry after washing so they don’t steam. The added benefit of this flash cooking technique is that it keeps the vegetables fairly intact in their natural form; in fact, you are barely cooking them at all. This way, they retain many more nutrients and fiber than they would if you steamed, stewed or roasted them. Bring a medium-sized stockpot of water to boil; add peas and cook until just tender, about 5 minutes; drain and transfer to a large mixing bowl. In same pot, cook brown rice according to package instructions. Transfer to bowl with peas and set side. In a small bowl, whisk soy sauce and 1 tablespoon sesame oil to combine. In another bowl, beat eggs until smooth. Heat a non-stick skillet over medium heat, add eggs, and cook, stirring occasionally until eggs scramble. Transfer to the bowl with rice and peas and cover with foil. In same frying pan over very high heat, add remaining tablespoon of sesame oil. Once oil begins to shimmer, add onion, mushroom and pineapple in an even layer, allowing vegetables to char, stirring occasionally, 3-5 minutes. Pour vegetables into bowl with rice. Serve immediately with cilantro and a side of soy sauce.